Search or browse all Australian legislation from one site. Explore current and historical legislation for all Australian jurisdictions, including some extrinsic materials. Lexis Advance contains Australian and New Zealand case law, legislation, commentary and journal articles. Please see individual state and territory pages for more law reform options. 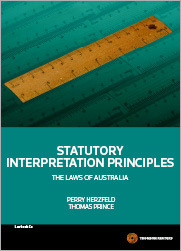 Contains reports from Australian and New Zealand Law Reform Commissions. Contains publications of law-reform commissions in Canada, the Commonwealth of Nations, and the United States.